Budget is the heart of administrative management. It served as a powerful tool of co-ordination and negatively an effective device of eliminating duplicating and wastage. Budgeting, though primarily recognized as a device for controlling, becomes a major part of the planning process in any organization. Budget is a formal expression of policies, plans, objectives and goals laid down in advance by top level authorities of the organization as a whole in a given period of time. It involves forecast and future performance and also it contributes to control by anticipating cash needs, planning, necessary financing and establishing the standards for measuring the current performance. Lastly budgeting presents an opportunity for evaluation programmes and policies thereby identifying obsolete or unnecessary activities and giving a call for their discontinuance. It is this sense pre- audit. Literally the word ‘budget’ means a leather bag or sachet to carry official paper in. From that association, it came to mean those papers themselves, more particularly the paper containing the financial proposals for the year. The word “budget” derived from the old English word “budgettee” means a sack or pouch which the chancellor of the exchequer used to take out his papers for laying before the parliament, the Government, the financial scheme for the ensuring year. Now the term budget refers to the financial papers not the sack. Ø Budget is an operational plan, for a definite period usually a year. Ø Budget disciplines and streamlines administration & goes hand in hand with programme planning. Ø Budget is a formal expression of polices, plan, objectives and goals laid down in advance by top level authorities of the organization as a whole in a given period of time. Ø Executive programme: Budget should go hand in hand with programming under the direct supervision of chief executive. Ø Executive responsibility: the chief executive must observe the economy in the execution of the programme. Ø Reporting: Budgetary process like preparation of estimates, legislative action and the budget execution must be based on full financial & operating reports coming from all levels of administration. 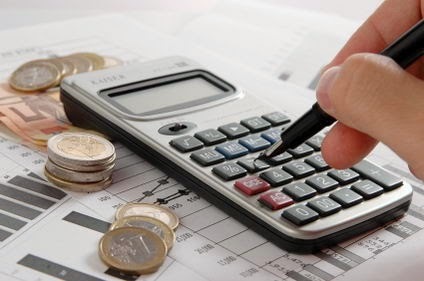 Ø Multiple procedures: The method of budgeting may vary according to the nature of operation. Ø Flexibility in timing: should have provisions to accommodate necessary changes in the light of changing economic situation. Ø Two-way budget organization: Traffic between central offices & the agency offices responsible for budgeting and programming should move in two-way rather than one way street. Ø Publicity: The main stages of the budget process, which includes executive recommendation legislative consideration and action & budget execution, should be made public. Ø Clarity: The budget should be understandable to every citizen. Ø Budget unity: All receipts should be recovered into one general fund for financing all expenditure. 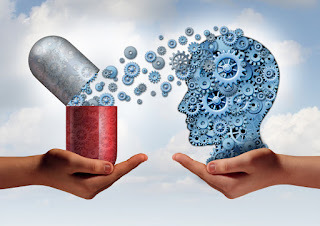 Ø Prior authorization: Budget execution should stay strictly within the legislative authorization & should be checked by an auditing agency reporting to the legislature. Ø Accuracy: It should be accurate as possible, & there should be no padding of expenditure estimates or providing for hidden reserves by underestimating revenue. v Budget supplies the mechanism for translating fiscal objective into projected monthly spending pattern. v Budget enhances fiscal planning & decision making. v Budget clearly recognizes controllable and uncontrollable cost areas. v Budget offers a useful format for communicating fiscal objectives. v Budget allows feedback of utilization of budget. v Budget helps to identify problem areas and facilities effective solution. v Budget provides means for measuring & recording financial success with the objectives of the organization. It should be synthesis of past, present & future. It should be product of joint venture+ co-operation of executives/department heads at different levels of management. It should be in the form of statistical standard laid down in specific numerical terms. It should have support of top management throughout the period of its planning supplementation. Budget is a Numerical description of expected income & planned expenditure for an organization for a specified period of time. It is a concrete, precise, picture of the total operation of an enterprise/organization/institution in monetary term, i.e. finance. Budget is needed for planning for future course of action 7 to have a control over all activities in the organization. Budget facilities coordinating operation of various department & sections for realizing organizational objectives. Budget serves as a guide for action in the organization. Budget helps one to weigh the values & to make decision when necessary on whether one is of a greater value in the programme than the other. Budget is an operational plan for a definite period, usually a year, expressed in financial terms 7 based on expected income & expenditure. 1. Budget should provide sound financial management by focusing on requirements of the organization. 2. Budget should focus on objectives & policies of the organization. It must flow from objectives & give realistic expression to the way of realizing such objectives. 3. Budget should ensure the most effective use of scarce financial and non-financial resources. 4. Budget requires that programme activities planned in advance. 5. Budgetary process requires consistent delegation for which fixed duties & responsibilities are required to be allocated to managers at different level for framing & executing budget. 6. Budget should include coordinating efforts of various departments establishing a frame of reference for managerial decisions, & providing a criterion for evaluating managerial performance. 7. Setting budget targets requires an adequate checks & balance against the adoption of too high or too low estimates. 8. Budget period must be appropriate to the nature of business or service and to the type of budget. 9. Budget is prepared under the direction and supervision of the administrator and financial officer. 10. Budgets are to be prepared and interpreted consistently throughout the organization in the communication of planning process. 11. Budget necessitates a review of the performance of the previous year and an evaluation of its adequacy both in quality and quantity. 12. While developing a budget, the provision should be made for its flexibility. WHO SHOULD BE INVOLVED IN BUDGETTING? · Understand what is involved in generating and raising funds. To ensure you have all these understandings, it is usually a good idea to have a small budgeting team. This may only mean that one person does a draft budget which is then discussed and commented on by the team. ü The Project Manager and/or Director of the organisation or department. Where staff lack confidence to do the budgeting, then Board members can be brought in. Some Boards have a Finance Committee or a Budget Sub-Committee. It is a good idea to have someone on your Board with financial skills. S/he can then help the staff with budgeting. The budget is the business of everyone in the organisation. At the very least, senior staff should understand the budget, how it has been drawn up, why it is important, and how to monitor it. Where an organisation has branches and/or regions, or several departments, then each branch, region or department should draw up the budget for its own work. These budgets then need to be consolidated (put together) in an overall budget for the organisation. Each branch, region or department should be able to see how its budget fits into the overall budget, and should be able to monitor its budget on a monthly basis. Financial monitoring works best when those closest to the spending take responsibility for the budget. § Manpower budget: - includes wages and other benefits provided for regular and temporary workers. § Capital expenditures: - includes purchase of land, buildings and major equipments of considerable expenses and long life. § The operating budget: - includes the cost of supplies, minor equipment, repair and overhead expenses. Budgets can be classified according to Time, Function, and Flexibility. Every head of the office is required to prepare budget estimates in respect of salaries of establishment, contingent expenditure and various other expenses, rent of building etc. In hospital requirements in respect of medicines, diet equipment, hospital contingencies, surgical dressing, clothing, linen etc. are also needed to be worked out. v Forecasting: - Related to making decisions on purchase, expansion, advertising, services, working capital needs etc. v Accounting: - Needed to compare the budget information with actual accomplishment. v Lines of authority: - Budget preparation, operation and supervision need/require clearly defined lines of authority. · To receive and approve all forecast, departmental budgets, periodic report showing comparison of actual and budgeted income and expenditure. · To request for special studies of deviations from the budget and consider revision of budget to meet changed conditions. v Business policies: - clearly defined business policies serve as basis for budget preparation. v Statistical information: - In the form of figures, i.e. estimates regarding the budget terms are essentials for budget. v Top level management: - support is essential to ensure successful instillation of the budget programme. v Period of budget; - Length of budget period (usually a year) should be specified. ü Review the goals of the agency or hospital because these are most likely to receive funding. ü Review the objectives of the existing programme and written for proposal programme to ensure that achievement of these objectives. ü Existing programme are revised and proposal programme designed to maximum goal achievement. ü Manpower, capital and operating expenses are computed for each programme old and new. ü Alternative methods are identified for realizing designated objectives and price of each alternative is determined. ü Comparisons are made to determine which alternative is most cost-effective. ü Budget requests is developed for the preffered programme indicates alternative method for meeting the same objective, and explain why the recommended programme is preferred. ü Officers and supervisors to present their need for the coming year by a specified date. ü Review the budget appropriation and actual expenditure for the current year. ü Prepare the programme with new budget. ü Determine the percentage of salaries of personnel. ü Estimate the requirements for coming year from the information supplied as the expenditure for supplies, equipments and repairs to date. It is for the top, management to define the planning premises and provide procedural details. In the committee after discussion, the members have the opportunity to plan amongst themselves. A best possible plan combining the talents of the entire group thus emerges; the approach enhances communication, coordination and harmony of various operational plans and efforts. v Revenue & Expenditure budget. The master budget is supported by functional/departmental budgets. Some of the important functional budgets are: Purchase, personel, engineering and research. The functional budgets are in two parts. Part one deal with the departmental costs. Items over which the departmental head has full control-such as material used, departmental manpower, maintenance expenditure etc. these are not specifically identified with the department such as salaries of hospital administration, general maintenance etc.Part two deal with their performance expressed in terms of numbers to the extent possible. The initial draft budget contain proposal for additional manpower, equipment, space and any other resources or changes in rate structure or operating system. Then these are discussed with the top management, who after deliberating and considering all aspects either accept, reject or suggest changes to the draft budget. Once the budget is accepted, the departmental manager is committed to achieve the targets set. The budget period indicates the time span covered by a budget. It is generally one year, coinciding with the financial year, such as in construction or film industry, each job could have a separate budget to coincide with the time required to complete the assignment. These are consolidated in annual budget. Others are supplemented by long range plan, which covers 3 to 5 years period. v Inaccuracy---- Budget figures are expressed in monetary terms. v Personal bias---- Imperfection in human judgments. v Non-availability of cooperation---- Inefficient employee. v Results are not attainable. v Consistency---- The budgets are not prepared a fresh every year. Budgeting price increases:- Budgets are prepared in advance. There are likely to be price increases between the time of preparation and the time when the amount is spent or received. Take this into account when you do your budgeting by estimating what the costs or value will be when the expenditure is made or the income received. If there is likely to be an increase in costs then make sure that you also estimate for an increase in what you charge in fees for services or in sales of products. You need to keep your calculations for your budget because some donors may be willing to provide a supplementary grant if you can show clearly that you calculations were based on a smaller rate of inflation than actually proved to be the case. The level of detail needed:- On the one hand, the less detail you give, the more flexible you are. On the other hand, leaving the budget too open makes it less useful as a management tool. This does not mean that every single thought and detail should be included in the budget line items. One way to deal with this is to have different versions of the budget for yourselves and for donors and potential donors. The donor version would be more flexible and less detailed, and the management version so less. Contingency amounts:- A contingency amount is an amount that you put aside to deal with unforeseen events. While budgets should be informed guesses, there is still an element of “guessing” in them. The future is uncertain and organisations and projects have to survive in uncertain times. Because of this, some organisations allow for a “contingency” line item in their budgets – usually about 10% of the overall annual budget. However, many donor agencies do not like this and refuse to fund a “contingency” line item, possibly because they believe that organisations and projects should be more accurate in their budgeting. One way to deal with this is to build contingency amounts into the major line items in your budget, allowing for an additional 10% over and above your calculations. Budgeting income generating projects:- In overall budget for the project or organisation, include the costs in the line items reflecting expenditure, and the income in line items reflecting income. However, for management purposes you will want to be able to monitor in greater detail than this, in order to establish at what stage a break-even point is reached. Bookkeeping records should be set up in such a way as to make it easy for management to access this information. Timeframes:- Organisational budgets (for the whole organisation) are usually calculated for a year at a time (based on the financial year of the organisation). This also applies to ongoing departmental budgets. Once you have an annual budget, it is best to break it down into months, for management purposes. A monthly breakdown facilitates monitoring (see the sections on budgeting for monitoring and watching your cash flow). When you present a budget that covers several years, make sure that this budget is based on a medium-to long-term plan, and is not simply an uninformed guess. Budgets for specific, timebound projects may be calculated for the whole life of the project. For monitoring purposes it is probably best to break this overall project budget into years (where the project runs over several years). You may then also decide to break it up into months. Ø Participation in planning budget. Ø Consult & take assistance of his/her subordinates in determining the needs of the unit for the ensuing year on the basis of information received. Ø Request sufficient funds to suggest a sound programme provision, expansion of programme to attract and hold qualified staff to provide for expansion of physical facilities. Ø The administrators have to support the budget. Ø She is responsible for budget & should cover the routine budget control. Ø Is visionary in identifying or forecasting short & long term unit needs, thus inspiring proactive rather than reactive fiscal planning. Ø Is knowledgeable about political, social & economic factor. Ø Demonstrate flexibility in fiscal goals setting in a rapidly changing system. Ø Anticipates, recognize & creatively problems-solves budgetary constraints. Ø Ensures that client safety is not jeopardized by cost constraints. Ø Identifies the importance of, & develops short & long range fiscal plan that reflects unit needs. Ø Articulates and documents unit needs effectively to higher administrative level. Ø Assess the internal and external environment of the organization in forecasting. Ø Demonstrate knowledge of budgeting and uses appropriate technique. Ø Participate in relevant fiscal planning. Ø Coordinates the monitoring aspects of budget control.